Objective Occupational-attributable chronic obstructive pulmonary disease (COPD) presents a substantial health challenge. Focusing on spirometric criteria for airflow obstruction, this review of occupational COPD includes both population-wide and industry-specific exposures. Methods We used PubMed and Embase to identify relevant original epidemiological peer-reviewed articles, supplemented with citations identified from references in key review articles. This yielded 4528 citations. Articles were excluded for lack of lung function measurement, insufficient occupational exposure classification, lack of either external or internal referents, non-accounting of age or smoking effect, or major analytic inadequacies preventing interpretation of findings. A structured data extraction sheet was used for the remaining 147 articles. Final inclusion was based on a positive qualitative Scottish Intercollegiate Guidelines Network (SIGN) score (≥2+) for study quality, yielding 25 population-wide and 34 industry/occupation-specific studies, 15 on inorganic and 19 on organic dust exposure, respectively. Results There was a consistent and predominantly significant association between occupational exposures and COPD in 22 of 25 population-based studies, 12 of 15 studies with an inorganic/mineral dust exposure, and 17 of 19 studies on organic exposure, even though the studies varied in design, populations, and the use of measures of exposure and outcome.  A nearly uniform pattern of a dose–response relationship between various exposures and COPD was found, adding to the evidence that occupational exposures from vapors, gas, dust, and fumes are risk factors for COPD. Conclusion There is strong and consistent evidence to support a causal association between multiple categories of occupational exposure and COPD, both within and across industry groups.